Now that we’re living in world that might literally tweet its own way into an all-out nuclear war at any moment, it’s more important than ever to cling to the few certainties that are left to us as poor, helpless, non-presidential mortals. Puppies will still playfully frolic. Young lovers will still meet upon the soon-to-be irradiated grass. 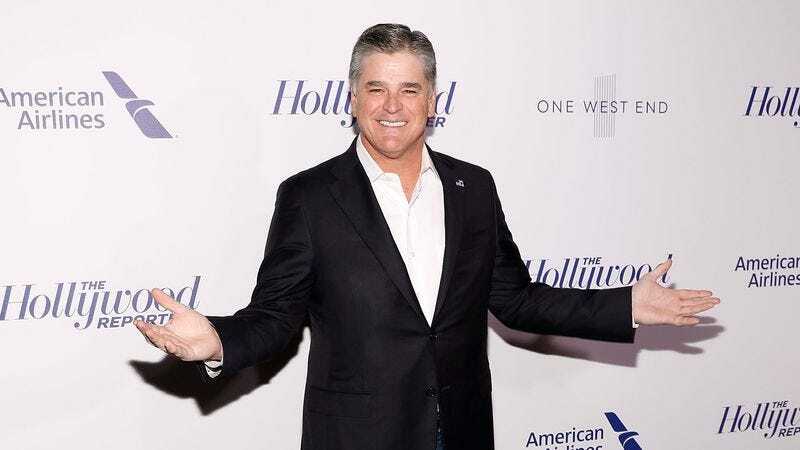 And Sean Hannity will still be unable to stop himself from letting his monstrous, Mr. Hyde-esque petty side out to yip and snap at the ankles of his political opponents. But then, the Senate Majority Leader had to finally go and take the bait that Donald Trump has been gently laying out in front of his shell for the last few weeks, firing back at the White House for Trump’s assertions that he’s leading a “do-nothing Congress.” Speaking at a Rotary Club dinner, McConnell called Trump out on his political inexperience, his grandstanding, and his tendency to put “artificial deadlines” on legislators, all of which have made it more difficult for Republican congresspeople to actually get to grips with “the complexity of legislating” without their own ”leader” shooting them in the foot. We’d like to imagine the scene in Hannity’s office as he took in McConnell’s words, steam slowly beginning to float out of his ears at this slanderous attack against his commander-in-chief. He glances at the clock: Still four hours and ten minutes to go. He looks around the office, trying to distract himself with his various accomplishments and good deeds. He looks at the clock. 4:09. Unable to contain the raging drizzle inside himself for another second, he finally grabs his phone. Spleen suitably vented, Hannity then got back to the day’s busy work—like finding out what right-wing talking head Sherriff David Clarke thinks about our upcoming nuclear annihilation—content in the knowledge that he almost kind of stuck to his pledge, brewing international crisis or no.